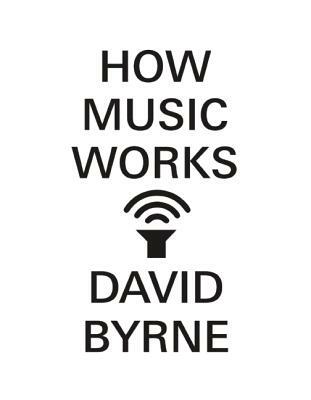 "How Music Works" is David Byrne's remarkable and buoyant celebration of a subject he has spent a lifetime thinking about. In it he explores how profoundly music is shaped by its time and place, and he explains how the advent of recording technology in the twentieth century forever changed our relationship to playing, performing, and listening to music. Acting as historian and anthropologist, raconteur and social scientist, he searches for patternsand shows how those patterns have affected his own work over the years with Talking Heads and his many collaborators, from Brian Eno to Caetano Veloso. Byrne sees music as part of a larger, almost Darwinian pattern of adaptations and responses to its cultural and physical context. His range is panoptic, taking us from Wagnerian opera houses to African villages, from his earliest high school reel-to-reel recordings to his latest work in a home music studio (and all the big studios in between). Touching on the joy, the physics, and even the business of making music, "How Music Works" is a brainy, irresistible adventure and an impassioned argument about music's liberating, life-affirming power. David Byrne is a Scottish-born Rock and Roll Hall of Famer and cofounder of Talking Heads. He has been the recipient of many awards, including an Oscar and a Golden Globe. The author of "Bicycle Diaries" and "The New Sins," Byrne lives in New York City. "From the former Talking Heads frontman, a supremely intelligent, superbly written dissection of music as an art form and way of life...Byrne touches on all kinds of music from all ages and every part of the world... Highly recommendedanyone at all interested in music will learn a lot from this book." "In this fascinating meditation, Talking Heads frontman Byrne (Bicycle Diaries) explores how social and practical context, more than individual authorship, shaped music making in history and his own career... his chapters on Heads recording sessions are some of the most insightful accounts of musical creativity yet penned. The result is a surprising challenge to the romantic cliché of musical genius... Byrne’s erudite and entertaining prose reveals him to be a true musical intellectual, with serious and revealing things to say about his art." "Endlessly fascinating, insightful, and intelligent."